For each task you can define displaying message before execution. For example use this option if you want caution users 10 minutes before backup will be started. In this case APBackup displays window only on computer when it starts. 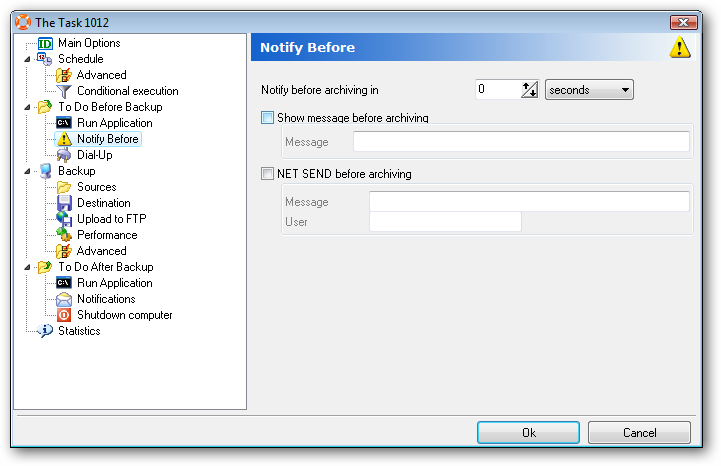 In this case you can send message to all Windows domain users through Windows NET SEND service. Enter “NET SEND /?” in command line for details.